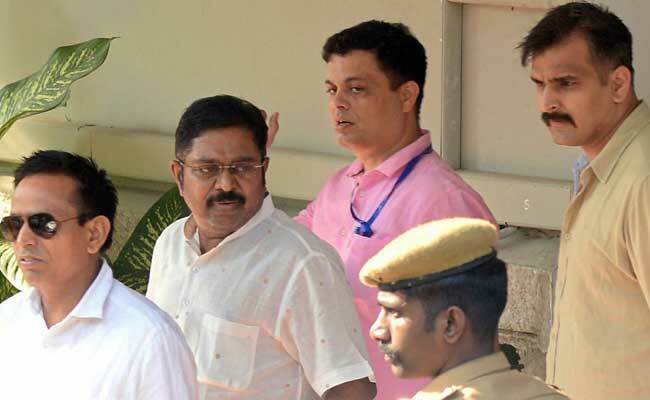 Chennai: AIADMK (Amma) leader T T V Dinakaran, arrested by the Delhi Police in connection with a bribery case, was brought to Chennai on Thursday and searches were conducted at his residence in the city as part of the probe. Delhi Crime Branch police personnel led by Assistant Commissioner Sanjay Sherawat searched the residences of Dinakaran and that of his associate Mallikarjuna, police sources said on Thursday. The police had secured warrants from a Delhi court to conduct the searches which were part of efforts to gather "further evidence" in the alleged attempt by Dinakaran to bribe EC officials, they said. However, they did not state whether any seizures were made. 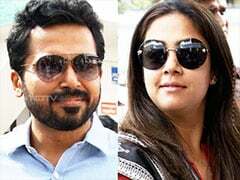 Besides the two, others connected to them were also questioned over illegal channels and conduits used for sending money to Delhi from Chennai, the sources said. Earlier, the two were brought here by a flight around 1 pm by the Delhi police team, two days after their arrest in the case. Dinakaran's supporters Pugazhenthi and Nanchil Sambath were at the airport when Dinakaran arrived. Dinakaran was arrested on the night of April 25 in Delhi following four days of questioning for allegedly attempting to bribe an unidentified EC official to get the undivided AIADMK's 'two leaves' election symbol for his faction. Police had earlier said alleged middleman Sukesh Chandrasekar, who was the first to be arrested, had struck a deal for Rs 50 crore to help the AIADMK (Amma) faction keep the 'two leaves' symbol. They had seized Rs 1.30 crore from Chandrasekar when he was arrested from a five-star hotel in Delhi on April 16. Dinakaran has been accused of allegedly arranging the amount from undisclosed sources and getting it transferred from Chennai to Delhi through illegal channels. Mallikarjuna was arrested for allegedly helping Dinakaran transfer this money from Chennai to Delhi, police had said. Police are also verifying whether Chandrasekar had approached any EC official for getting a favourable verdict for Dinakaran's faction. Dinakaran, who was appointed deputy general secretary by jailed AIADMK chief V K Sasikala, is facing a revolt by influential section of state ministers who have decided to keep the two out of party affairs.